01 Toyota RAV4 If standing out from the crowd is the name of the game, the all-new Toyota RAV4 is the undoubted victor. Robust, urban styling with an edge of contemporary sophistication define the new RAV4 - a model that has evolved during its 25-year production to be one of the most stylish SUVs available today. Featuring four trim levels and with an innovative hybrid engine providing clean, efficient motoring, the all-new Toyota RAV4 really is setting the benchmark for the modern SUV. And all with a sense of style that is difficult to beat. Discover more about the fifth-generation Toyota RAV4 at Yeomans Toyota in Brighton, Eastbourne and Worthing today. 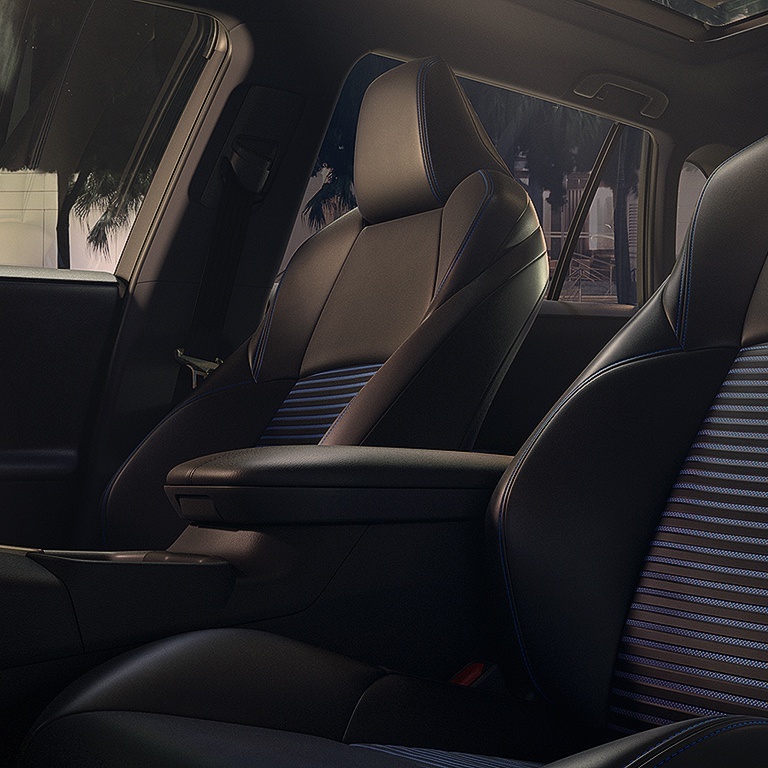 02 Exterior design Since first hitting the roads back in 1994, the Toyota RAV4 has become something of a pioneer in terms of SUV styling, with fun and eye-catching designs capturing attention and being refined with each new iteration. This latest edition is no different, with its powerful presence making a statement out on the road. 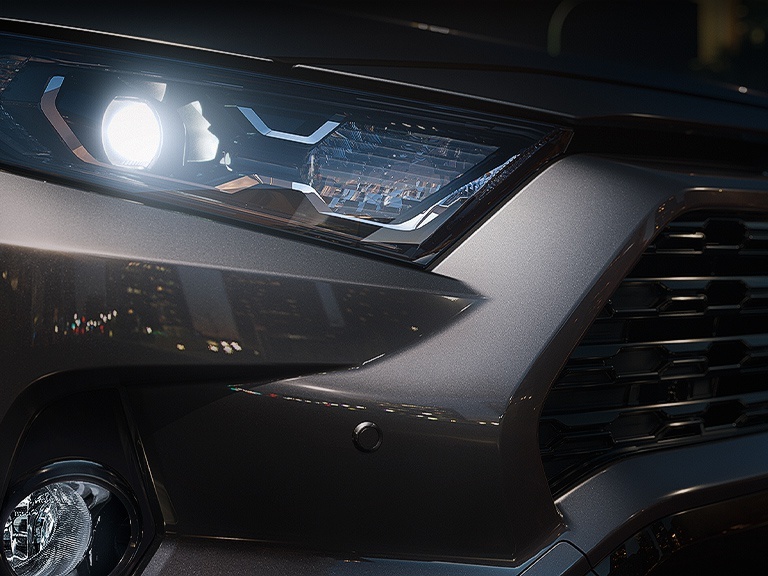 From the elegant LED headlamps to the optional panoramic roof, its bold silhouette to the host of paint schemes that include bi-tone options, the finish alone is enough to excite. It’s a strong and athletic model too, with the lower centre of gravity and rigid chassis meaning you can take to the road with confidence. 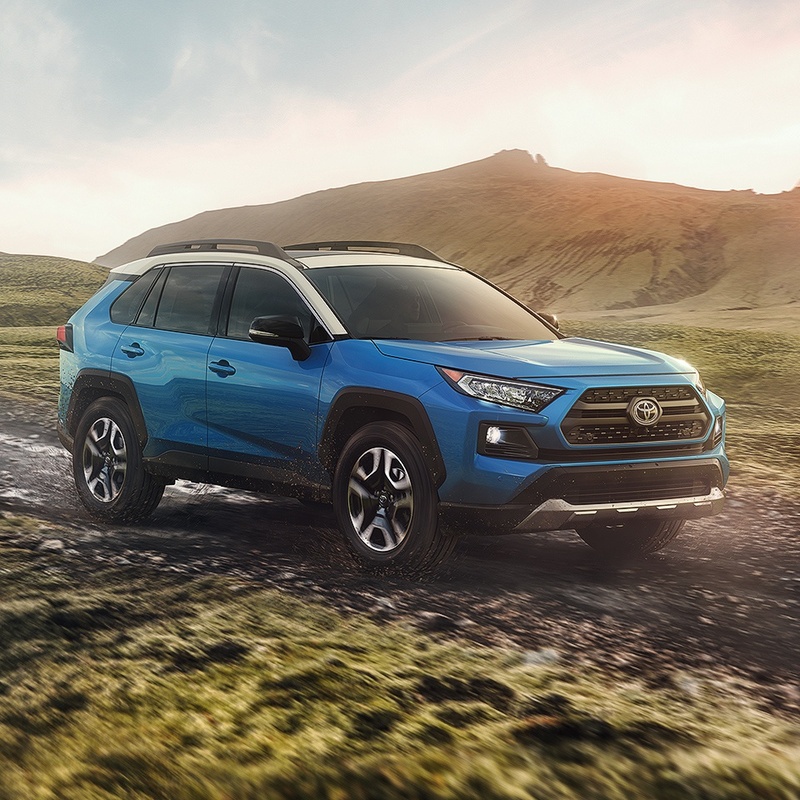 Its muscular stance and big, bold alloy wheels, meanwhile, epitomise the ‘go anywhere’ attitude of the vehicle, meaning the new RAV4 doesn’t look out of place on city streets or winding country lanes. 05 Safety & technology Exceptional engine technology is one thing, but what about those measures that complement the drive? 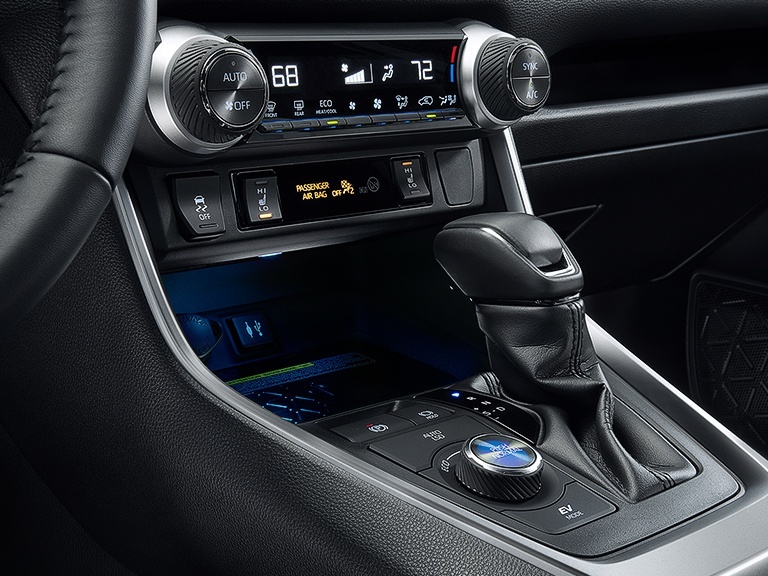 Within the new RAV4, you have the opportunity to benefit from infotainment features, driver assistance aids, and safety technology that is of the highest standard, meaning each drive is as enjoyable as the next. For those needing to stay connected, the Toyota Touch 2 multimedia system provides an eight-inch touchscreen and Bluetooth connectivity; drivers seeking support in parking their vehicle safely and easily will benefit from the Reversing Camera; and those seeking peace of mind over the safety of their passengers can take advantage of Road Sign Assist, Intelligent Adaptive Cruise Control, Vehicle Stability Control, and much, much more.